The standard way to update a record using Linq to SQL is to load a record from the database, assign the new column values, and submit the changes. 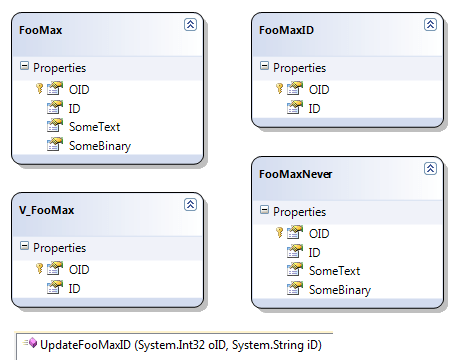 This method is undesirable if your table contains long text or binary columns, since they are loaded into the Linq to SQL object without being used. This entry was posted on Sunday, January 16th, 2011 at 14:09 and is filed under C#, LINQ to SQL, Series, SQL Server. You can follow any responses to this entry through the RSS 2.0 feed. You can leave a response, or trackback from your own site.